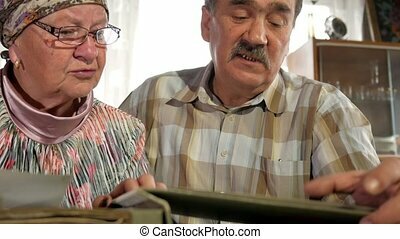 Cute elderly couple looking at an album. 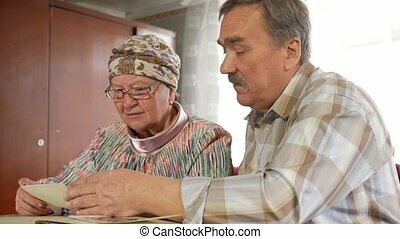 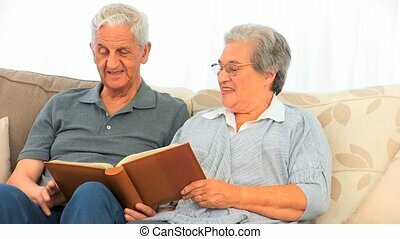 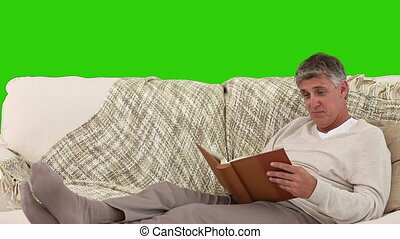 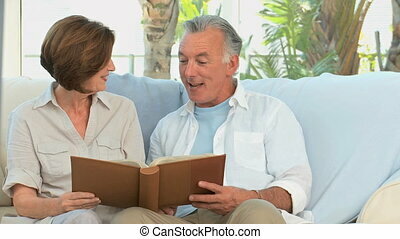 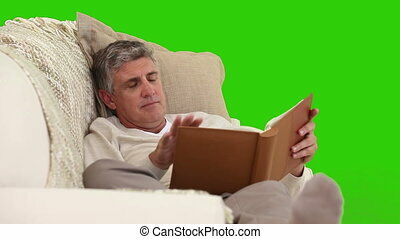 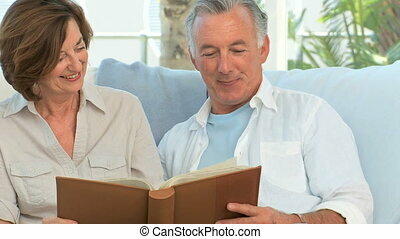 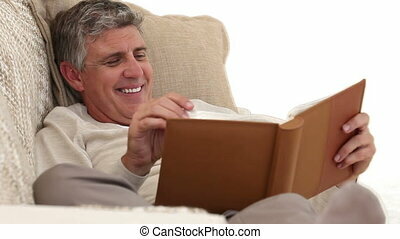 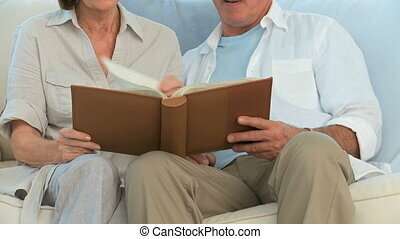 Chromakey footage of a cute elderly couple looking at an album. 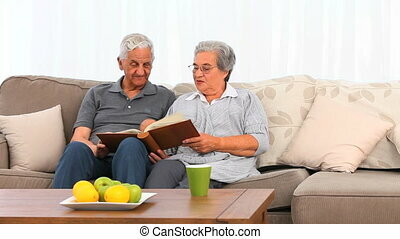 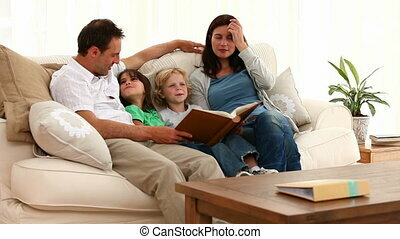 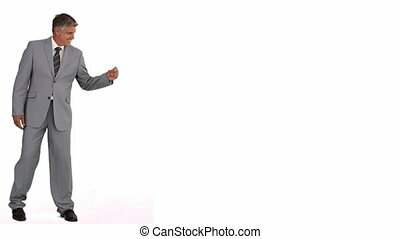 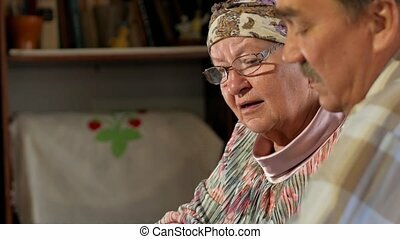 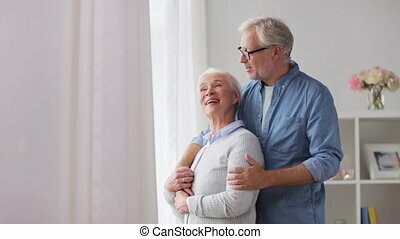 Beautiful elderly couple looking photos on your tablet, sitting on the couch at home. 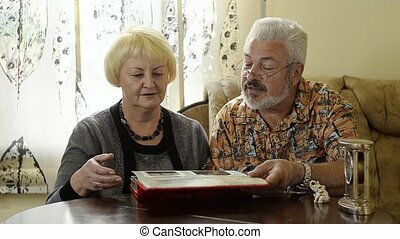 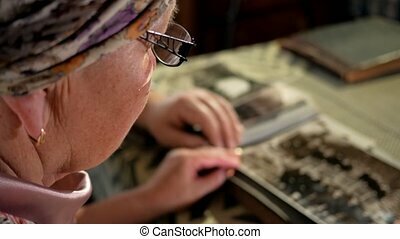 An elderly couple man and woman are looking at their old photos at home and talking. 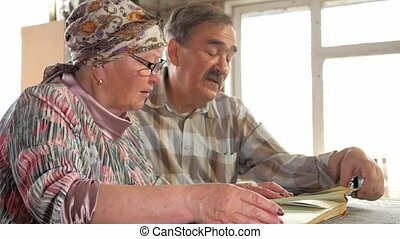 A man with a mustache, a wife with glasses.